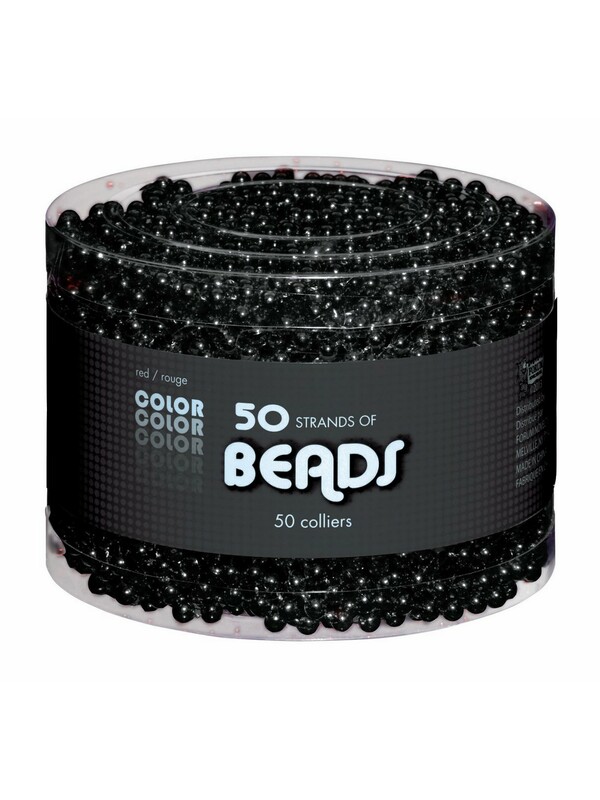 Add some more fun and excitement to your next celebration with this Multi-pack of Black Beaded Necklace Costume Accessories! These classic pieces of Mardi Gras currency are primed and ready to take your party into the stratosphere! Become the Mardi Gras king or queen when you break out this huge pack of everyone's favorite party favor! Check out all of our costumes and accessories for adults! Don't wait! Order today!